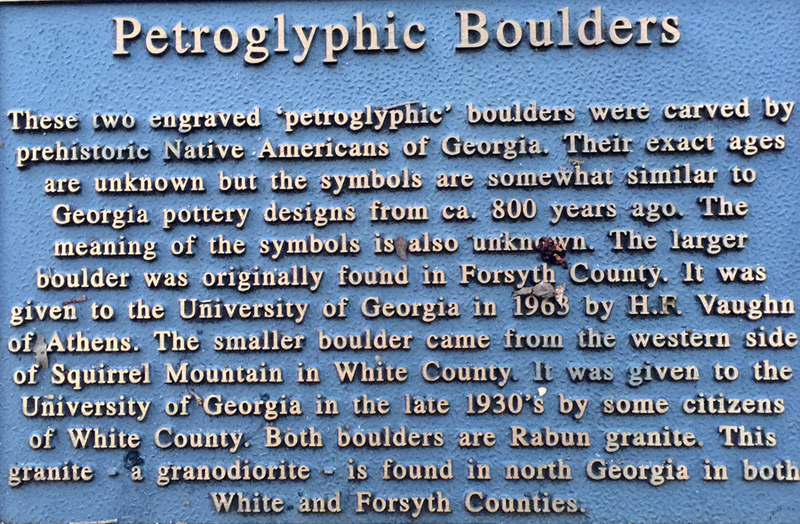 Two boulders decorated with petroglyphs are displayed on the campus of the University of Georgia in Athens. 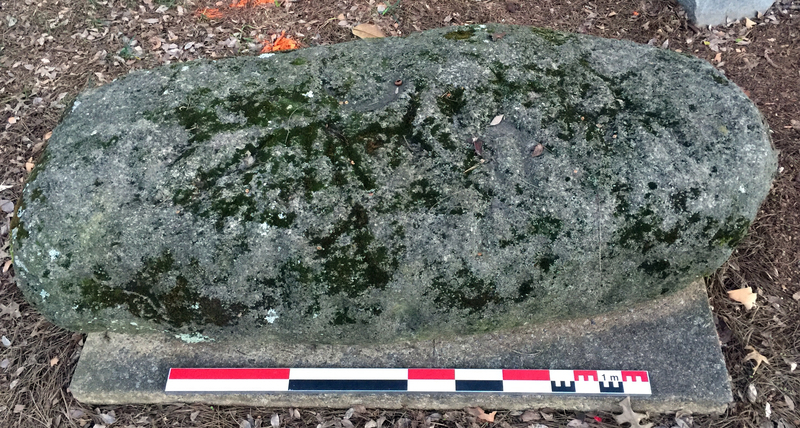 The Forsyth boulder with concentric circle petroglyphs. Scale is 1 meter. 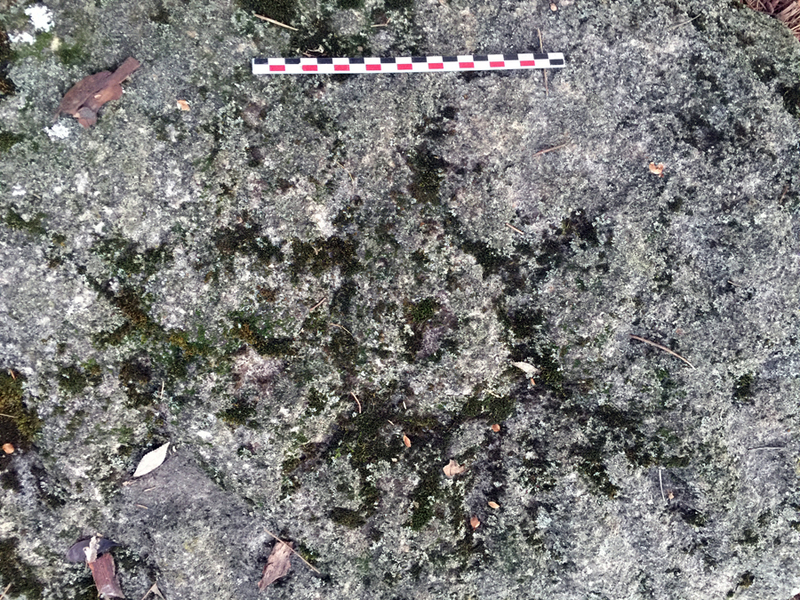 Closeup of the Forsyth boulder with concentric circle petroglyphs - one is directly beneath the 20 cm scale. The White boulder with a sunburst petroglyph. Scale is 1 meter. 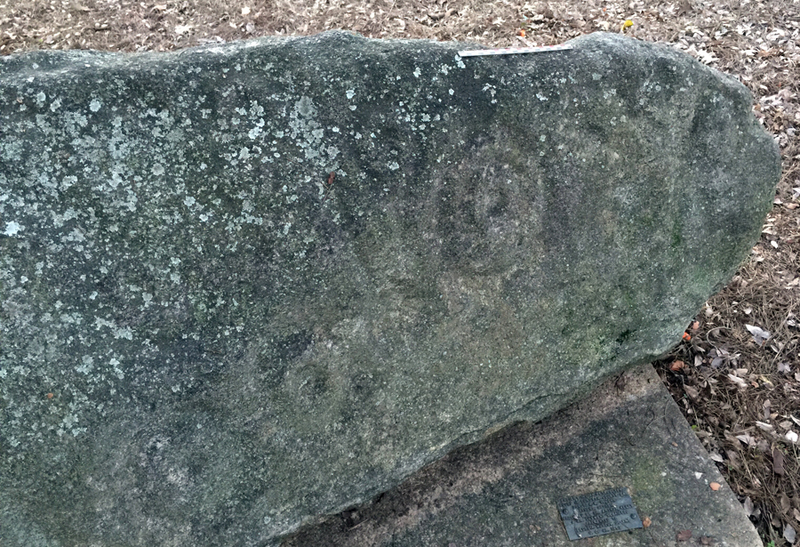 Closeup of the sunburt petroglyph on the White petroglyph boulder. Scale is 20 cm. 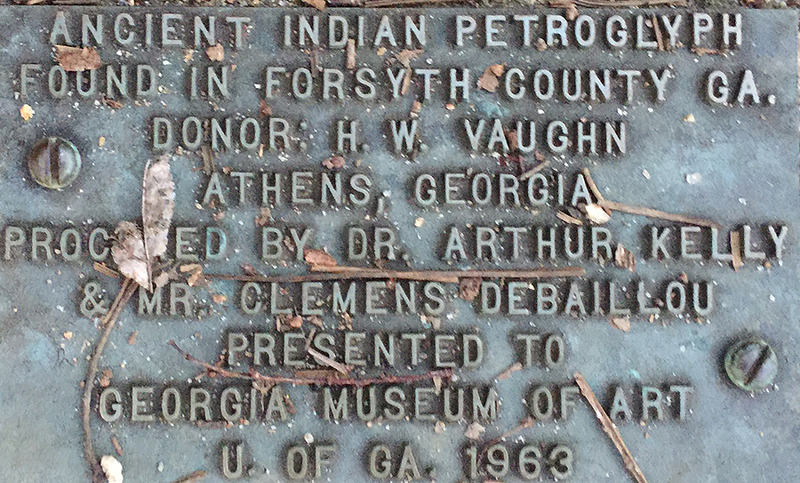 Address of the two boulders on the campus of the University of Georgia. Professor Michael Fuller at the boulders on the University of Georgia. 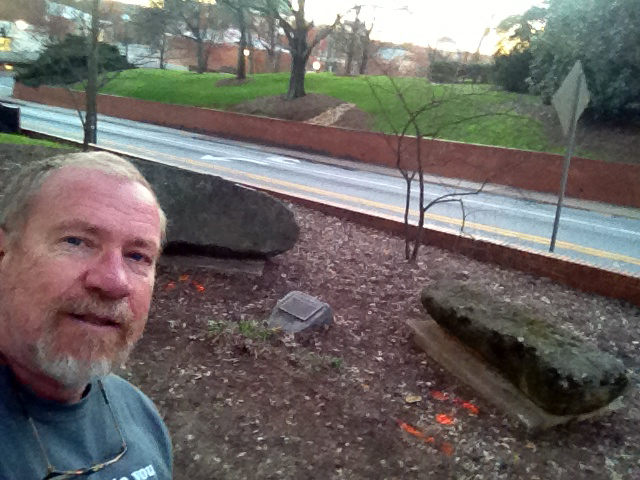 I relocated the boulders at sunset with the kind assistance of Betty Alice Fowler, Assistant to the Director of the Georgia Museum of Art. Alas, the dusk light was not the best for getting lots of detail on the petroglyphs.